Monday, Apr. 15, 2019, 12:30 – 1:15 p.m. 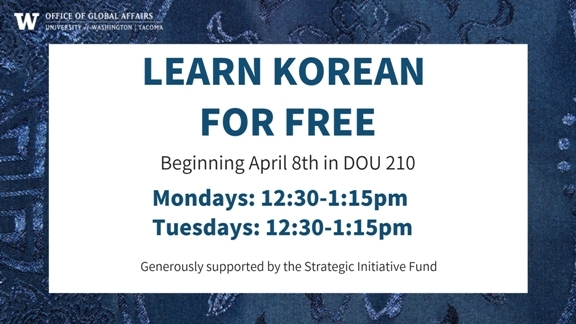 Learn Korean in an informal setting and for free with Korean American student Grace Kim.